Distance won over: 7f. to 8f. 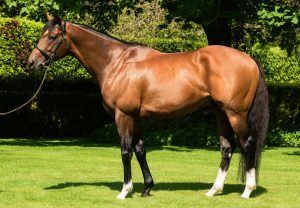 By GALILEO, 8-time champion sire with 75 Gr.1 winners. 14 sons of GALILEO have sired Gr.1 winners worldwide. 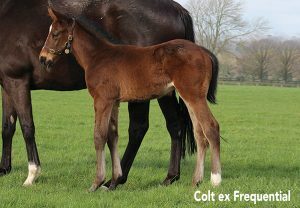 Galileo’s first sons at stud FRANKEL, NEW APPROACH, RIP VAN WINKLE, SIXTIES ICON, TEOFILO, RODERIC O’CONNOR, HELIOSTATIC, AUSTRALIA & RULER OF THE WORLD have all sired Group winning 2yo’s from their first crop! Out of MEOW - runner-up (beaten a neck) in the 5f. Queen Mary Stakes-Gr.2. Second dam AIRWAVE won the 6f. 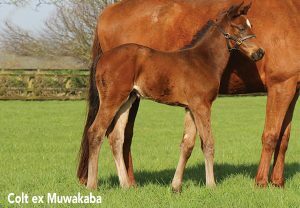 Cheveley Park Stakes-Gr.1 and her half-sister JWALA won the 5f. Coolmore Nunthorpe Stakes-Gr.1. His own-sister CLEMMIE won the 6f. Cheveley Park Stakes-Gr.1 becoming Galileo’s only Group 1 winner over 6 furlongs. 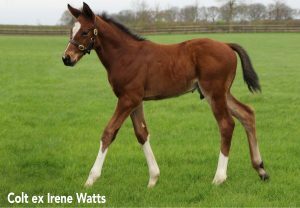 First in-foal mares sold for 220,000gns, 200,000gns, 150,000gns etc.